As I frequently mention, I am not a dessert person. With my salt and starch addictions, I’d rather use those calories for another bowl of pasta most of the time. This dessert, however, reminded me why sometimes sweet is the way to go. Judy made this for Brantley Thanksgiving 2K11, and it was so good that everyone insisted on having their own slice. And this was on top of the four course meal we’d already had (and the FatFest The Chef and I had already been a part of that morning with the Akins), so that speaks to the crazy-goodness of this. 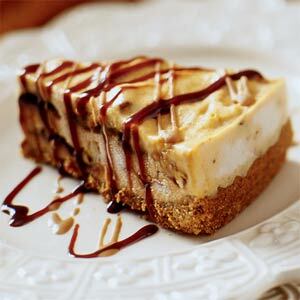 The pumpkin and spices make this great and seasonal, but the tangy ice cream and nutty crunch keep it fresh and lively. And let’s be honest: it’s just downright gorgeous to look at. Crush cookies and mix with sugar and melted butter. Press mixture in bottom and sides of a springform pan. Bake for 10-12 minutes, then chill or freeze. Mix pumpkin pie spice, pumpkin and 1/4 cup caramel topping. Blend til smooth,then add ice cream. Chill until firm, pop out of pan and slice. You might think I’m titling these cake balls “crazymaker” because you’ll be made “craaaaazy by how good they are!” or something equally infomercially. You would be wrong. I am titling them this because every time I’ve made them, they’ve made me a few shades more insane. On the face of it, this recipe is simple. And in reality, I think it once was for me because I remember making literally 7 different varieties of these when I worked at the state capitol. For some reason, though, the last time I made these, my kitchen and Ripley were covered in batter and sadness by the time it was all said and done. Nonetheless, you dessert folk get seriously neglected here at Nummy, so I’m trying to throw you a sugar bone. If you actually make the cake/icing mixture ahead of time and refrigerate it, the step where you dip the balls in melted chocolate might not make you postal. Make the cake according to package directions. Cool and crumble. Stir in icing until cake and icing mixture is smooth and creamy. CHILL. 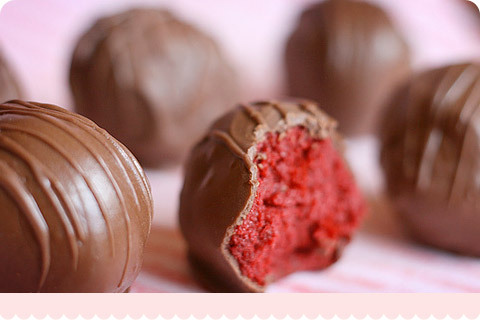 Roll into balls and dip into chocolate. 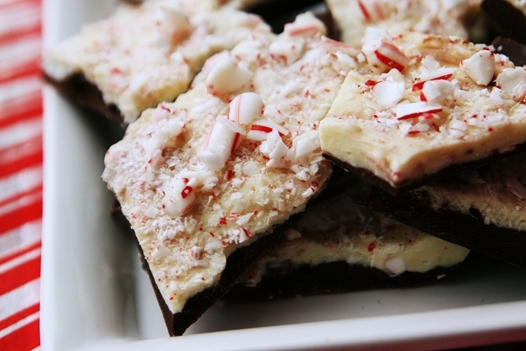 Place on parchment paper to dry and lightly dust with sprinkles. You know, as I wrote this up, I remembered that it was actually enjoyable to see the finished product of these things, especially with fun flavor combinations like carrot cake and cream cheese frosting with orange sprinkles. Cute as sh*t, no? If there is one thing happened at my office this week, it’s happyfatness. Be honest – you have 1 or 2 days left before a 5-day break, and you couldn’t care less. As if that weren’t enough, all those clients who need your business next year are trying to buy your affection with sugar-coated, fat-filled yummies. And if I’ve learned one thing this week, it’s that I can be bought. This recipe is actually an in-house offering from Joe, one of our writers, so this is honestly a gesture of good cheer rather than self preservation. Scary cheerful. Anyway, these gutbombs were spectacular and are – he assures me – easy to make. And when he told me the main ingredients were crescent rolls and cream cheese, no further encouragement was necessary. 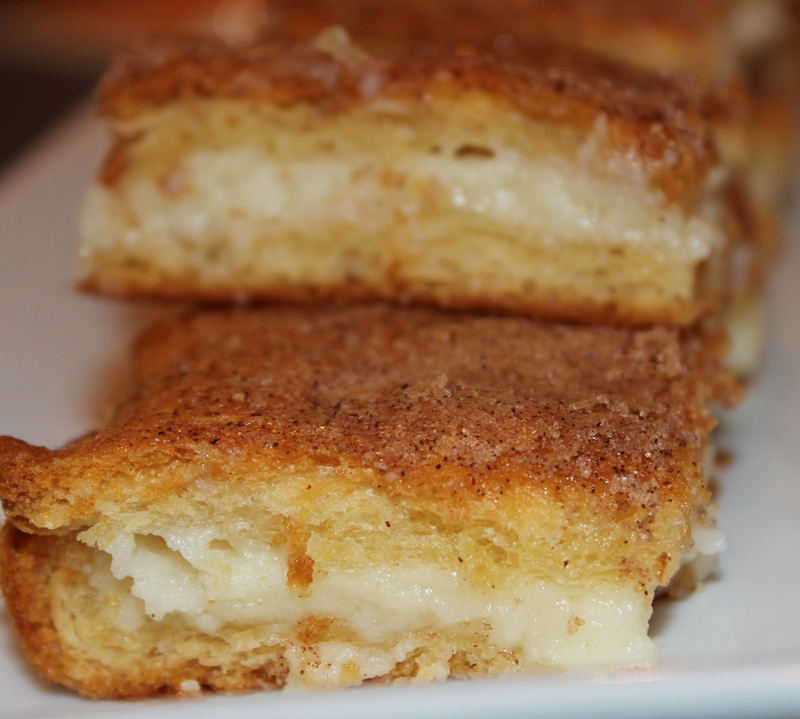 Soften cream cheese to room temp and preheat oven to 350 degrees. Spread one package crescent rolls across bottom; pinch perforations closed so it’s a single sheet. Blend sugar and cream cheese to frosting consistency; add vanilla while doing so. Spread cheese mix over dough and then spread second can of rolls over top, pinching perforations shut. Smooth melted butter evenly over top; sprinkle with cinnamon. 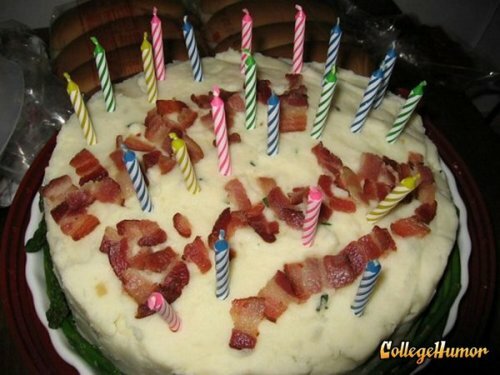 I thought bacon birthday cake would be appropriate for RipleyPickles’ day of birth. You may want to consider drizzling one of the Chef’s sauces over it as well for extra nummy-ness…. For perfect golden-brown hatch marks, maintain medium heat. High heat will create instant dark lines without toasting the bread; low heat will slow the toasting process, which can result in blackened grill marks. 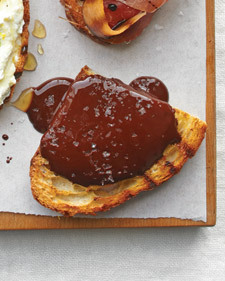 Melt chocolate in a double boiler or a heatproof bowl set over a pan of simmering water, and spoon over toasts. Sprinkle with fleur de sel. 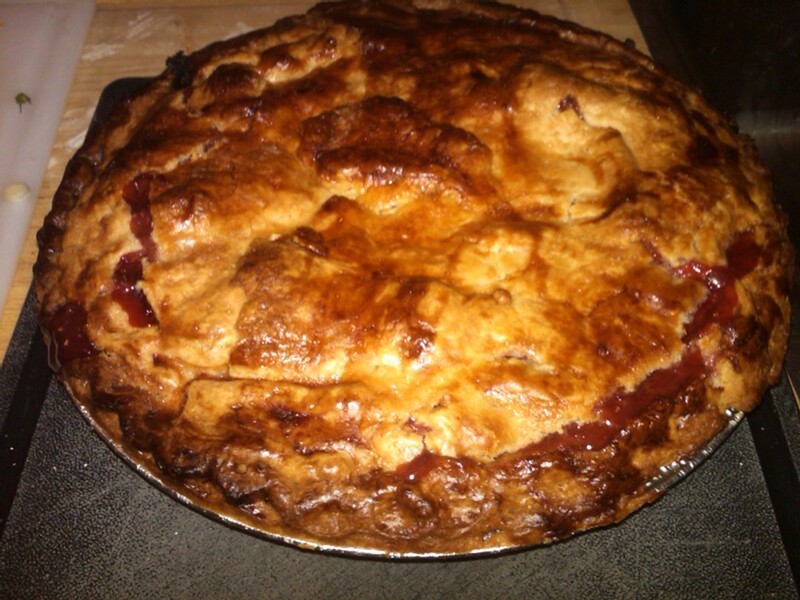 Mix the rhubarb, strawberries, sugar, tapioca, flour, zest and juice of lemon, dash of cinnamon, and vanilla. Mix well in a large bowl and pour out into chilled crust.Dot the top of the filling with the butter. Brush edges of pie crust with egg white wash. Roll out the other piece of dough and place over filling. Crimp to seal edges. Brush with egg white wash and garnish with large granule sugar. Collar with foil and bake at 425 degrees F for 15 minutes. Decrease temperature to 375 degrees F and bake for an additional 45 to 50 minutes, or until the filling starts bubbling.